In a large pot over medium heat, add beef bone broth, ginger, onion, cinnamon, star anise, garlic and fish sauce. Bring to a boil, lower heat and let simmer for 20 minutes. Strain the broth to remove and discard all ingredients, and return strained broth to the pot. Over medium heat, bring the broth to a boil and add the noodles. Cook until the noodles are soft and translucent, about 10 minutes. Immediately remove from the heat and split the noodles and broth evenly between two bowls. 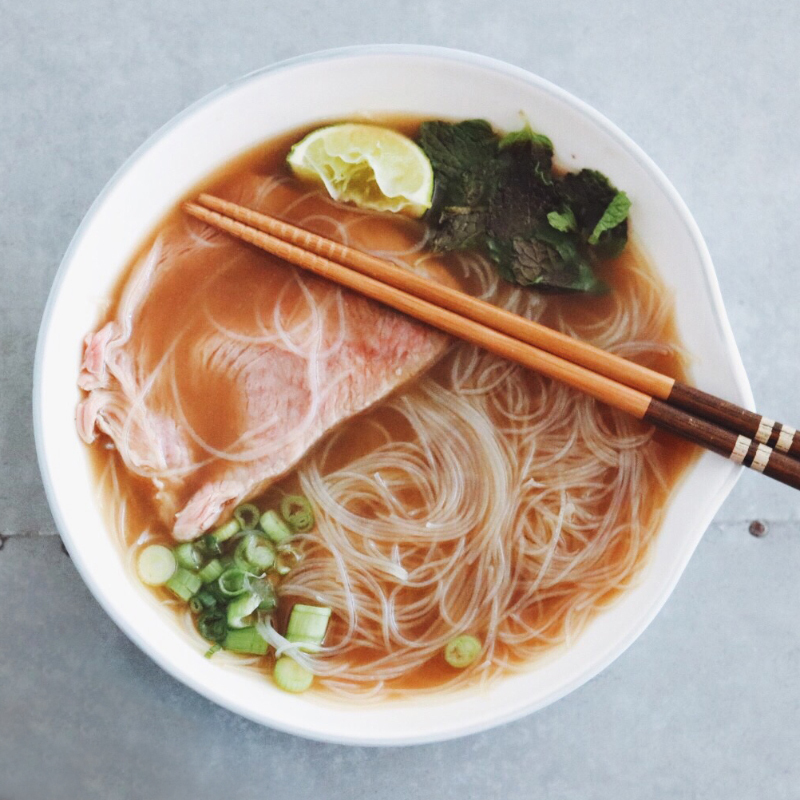 Place raw beef fillet slices into the pho. It should cook immediately. Garnish with fresh mint, lime and green onion. 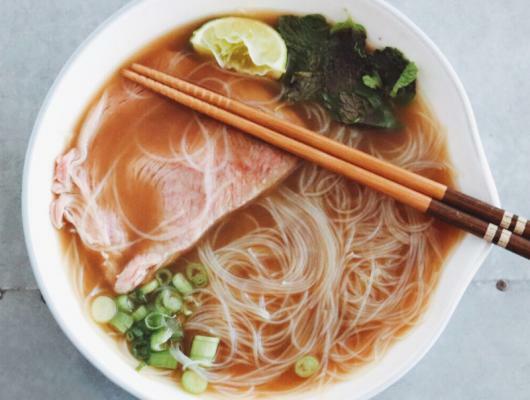 This classic vietnamese soup is already rich in antioxidants, vitamins, and minerals, and with the addition of beef bone broth, you get even more health benefits thanks to the beneficial protein, collagen.